Unfortunately the world doesn't stop even if you want it to. To help myself, and my lack of motivation, I have started writing down my goals. Every time I am feeling down and need a push to keep going I pull up this list. The goals on their own weren't very effective so I went into more detail. I wrote down the goal along with at least five reasons why I want or need to achieve it. For my health, for Erik, for my career, for our future family. Then underneath these reasons I wrote at least three ways it would positively affect them. When I visually see all that I am working towards it helps me to move forward. It doesn't automatically make me ready to take on the world but it does give the push I need to get through. I am reminded that what I do today does makes a difference for my future self. We all have not so great days. And I feel it is easy to get lost in them. 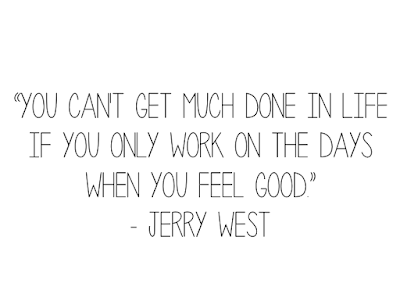 How are you working towards it today? 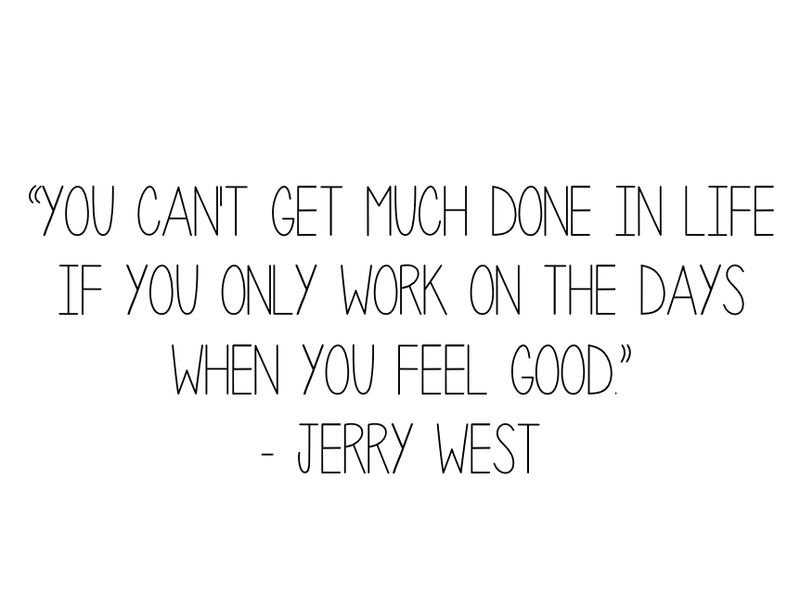 Are you only working towards it when you feel good? Remember that the effort you put in today will affect the outcome of tomorrow. How do you help yourself stay motivated?